As the problem of obesity reaches epidemic proportions for the western world, health organisations are urging parents and school leaders to encourage a love of healthy eating and exercise in children from a young age to help combat the problem. In 2016/17, 1 in 5 children in Year 6 and 1 in 10 children in Reception were classified as obese – a seriously worrying statistic, especially given the severe health problems this could lead to in later life and the added burden on an already underfunded NHS. Thankfully, initiatives such as The Daily Mile have been created to tackle the problem of obesity in schools head on and help reduce the numbers once more, while enabling children to switch off their screens and have plenty of fun getting fit in the process. 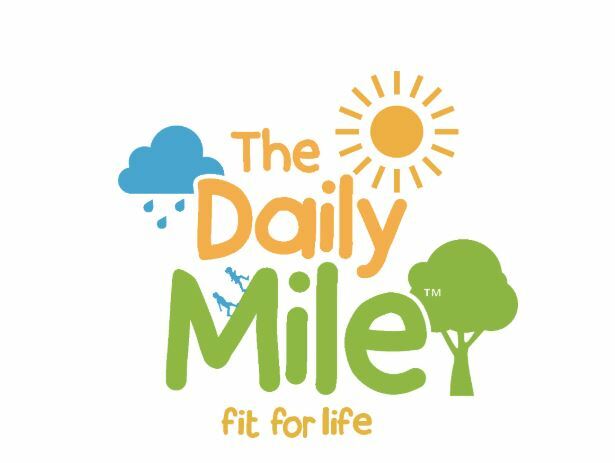 At CJ Sports, we’re very much in support of anything which helps to keep our kids healthy and active, so what’s the Daily Mile all about? It’s such a simple idea and over 5,000 schools and nurseries in England, Scotland and Wales are already involved. All it takes is for every nursery or primary school pupil to run or jog for fifteen minutes at their own pace 3-5 times a week and in that time, the average child will cover around a mile in distance. It doesn’t matter if they don’t quite make it – the Daily Mile is all about enjoyment and the beginning of a lifelong involvement in sport, as well as fitter, healthier children who are more able to concentrate in the classroom. A pupil’s physical health is the obvious benefit, but it is also known to improve mental and emotional wellbeing, while research from Stirling and Edinburgh Universities found that “a child’s attention and memory improves after exercise”. Moving on to older children there’s also the Daily Mile Foundation’s Fit For Life, a version of The Daily Mile aimed at ages 11+, which can be done in secondary schools, workplaces, universities and colleges. Parents Can Get Involved As Well! When it comes to encouraging children to actively enjoy fitness and healthy living, the best way to do this is by parents and teachers leading by example. Running or jogging a mile every day is an excellent way to stay fit and healthy for people of all ages, so there’s no reason why those in charge, shouldn’t get involved too. If children are being encouraged to take part in regular sporting activity, it’s also important to make it fun, so, in addition to getting everyone involved, create a course for your Daily Mile which is interesting and unusual, something which sparks their interest. It’s also important to risk assess the route in order to ensure The Daily Mile is a safe activity. This entry was posted in Company News on 18th March 2019 by Chris Campbell.